Officers received a report of two people sleeping on the chamber of commerce sign at Buchanan Boulevard and Boulder City Parkway. A woman came to the police station regarding a pencil she found with what she thought was blood on it. Officers determined it was an unknown dried reddish substance. In the area where it was found, there was no blood, no signs of a struggle and no one reported anything. There also wasn’t anyone complaining of an injury. Officers received a report of some black writing, possibly gang graffiti, on an electric meter on the side of a building. They found that it was faded marker writing that appeared to have been there awhile. It read “SITI HM,” which officers didn’t know the meaning of. Officers heard a possible gunshot. They also found multiple people in the area who heard it. They were unable to locate the source of the noise and decided to check camera footage from the area. 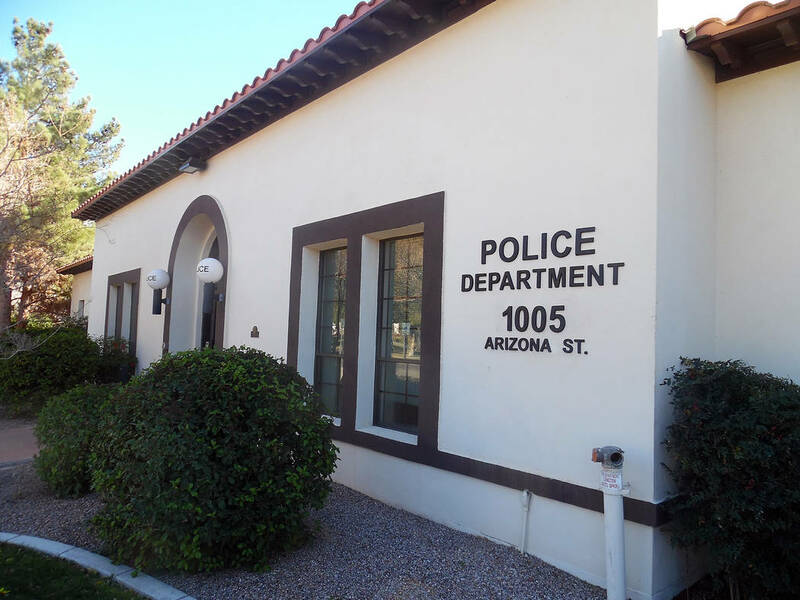 Officers observed an intoxicated man on the sidewalk who could not get inside his condo. Someone called the police station and said that a 15-year-old girl who had run away had returned and was sitting in the driveway. The caller wanted someone to come speak with her. An officer responded and “educated” the parent on what is allowed and not allowed in parental discipline. The child was also advised on domestic battery laws and advised that parents had the right to use corporal punishment if necessary. Officers received a report that there was an unattended backpack on the sidewalk. It had been there for more than an hour and a half, and the caller wanted it checked out. Officers found that it contained women’s personal hygiene products and baby food. A caller reported that a man was making threats, saying he was going to come into the business at 9 a.m. with an AR 57. Officers contacted the man who said that he was joking. They told him that threats like that are taken very seriously and he should not do it again. The man agreed with them. A man called the police to report that this vehicle had been damaged when someone tried to siphon gas out of it. A woman called the police and said that there was a cream colored Volkswagen bug style car with its doors open. The back door of the residence where it was parked was also open. The caller said that she knew the people who lived here. She knocked on the door but nobody answered. Nevada Highway Patrol advised the police department that there was a single-vehicle accident on U.S. Highway 93 in which a gray vehicle had hit a wall. Boulder City took over the accident and found debris from it in both lanes of Veterans Memorial Parkway. Officers received a report of a woman putting beers into her purse and wandering around a store. A man called and said that there was smoke in his attic. He was only one there and was advised to wait outside. Officers found that the smoke was coming from a pan on the stove. A caller reported that there was a fully grown domestic rabbit in the front yard. A man called the police and said a woman was by his trailer. She was mumbling and hiding in corners. Officers were unable to locate her.